Pairing instruction with inspiration, this book provides a multifaceted view of screen printing, from its roots in ancient China to its place in a digital era, and is the perfect primer for anyone intrigued by this popular printing method. 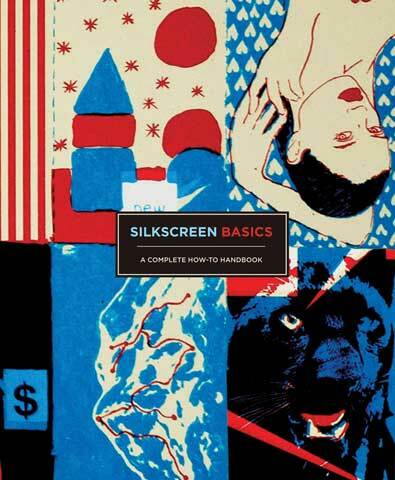 Far from a dry instructional manual, this book gives step-by-step instructions on how to create budget-friendly, successful screen prints at home and is dotted with friendly tips and quips accompanied by hundreds of photos, drawings and prints. Also included are expert printers' profiles and insights. Featured artists include Colin Jenkins, Erica Il Cane, and Helen Entwisle; collectives include Base V. in Sao Paulo, Flight 64 in Portland, OR, and SupaLife in Berlin; and studios include Bongout in Paris, Alexis Rom Estudio in Barcelona and Dog Day Print in Berlin.